♨ ‘mobile-friendly’ sites will rank even higher; ♨ RankBrain is not for crawling or ranking; ♨ how to opt out of Google featured snippets; ♨ YouTube vs Facebook video; ♨ Twitter's 140-character limit ‘is staying’; ♨ Twitter's algorithmic timeline; ♨ Instagram's algorithmic timeline; ♨ Instagram engagement down 40%; ♨ what you need to know about Windows 10 Mobile; ♨ Skype for Web gets a slew of new features; ♨ ...and much more. List building was my primary focus as of late. Thus, I’ve published/updated two posts focused on helping you hone in your list building/email marketing strategies this week. 80% of smartphone users check their phones within 15 minutes of waking up. A whooping 68% of all emails in 2015 was opened on mobile devices . Yet, only 61% of marketers optimize their emails for mobile devices. Especially when it’s as simple as using these 7 email hacks? This post is from the week before, but if you haven’t read it yet, I highly recommend you do. I have mixed feelings about it: on the one hand, I completely understand and agree with what Aviva is talking about (I wouldn’t have published the post otherwise!). And it’s hard NOT to agree, don’t you think? On the other hand, I am just as busy as you are. There has to be a balance found between the necessary automation and being actually present on social media. Read the post, let me know what you think in the comment section. Google will start ranking ‘mobile-friendly’ sites even higher in May. Not mobile-ready yet? Not sure what you are waiting for. RankBrain is for understanding queries, not for crawling or ranking. You can opt out of showing up in the featured snippets in Google Search. Here’s how. Google Image Search launched colorful filter buttons. Google announced that about 25 percent of the top 100 non-Google sites on the internet are now on secure connections over HTTPS.  TrafficGenerationCafe.com won’t be one of them anytime soon (check the comments). [surprising] It seems like Google’s crawler and indexer does NOT understand the text embedded in an image. New in Google Search Analytics: URLs with dynamic date range. Apple News quietly opens up to all small content publishers and bloggers. [lesson to learn] Over 93% of social content created by brands is 1:1 type content. 80% of Facebookers visit the service daily. Did you know there is actually a list of Facebook’s temporary profile picture frames? Here’s why Facebook acquired video-selfie startup Masquerade. Stats: the ongoing video battle between Facebook and YouTube. Twitter CEO Jack Dorsey says the 140-character limit ‘is staying’. Twitter begins switching its algorithmic timeline on by default. Twitter for Windows 10 is now on mobile. New Twitter/TweetDeck login, plus TweetDeck for Windows app will be shut down on April 15. Where do the happiest Twitter users on Earth live? Find out! Where do the happiest Twitter users in the U.S. live? In the Midwest and Northeast. Instagram will start showing posts in order of ‘relevance,’ like Facebook’s news feed. Instagram interaction rates dropped 40% last year. Instagram updates to display the exact dates of posts, rather than the number of weeks. Google+ for iOS update: polls, 3D Touch support, and more. Google+ for Android update: easier Circle Streams access, pinning posts to profiles. Medium updates iOS and Android apps to add topic- and theme-based collections, curated by trusted human testers. Podcat is IMDb for tracking your favorite podcast hosts. Google has introduced the ability to set an “expiration date” for specific user access to files in Google Drive, Docs, Sheets, and Slides. Skype for Web gets phone calls, YouTube embeds, guest accounts, and notifications. Microsoft has finally started rolling out Windows 10 Mobile to 18 devices running Windows Phone 8.1. Here’s what you will lose by upgrading. What happens when you replace a text link CTA with a button CTA? 17X lift in click-throughs! John Oliver explains the San Bernardino iPhone case so you can finally understand it. I am still trying to wrap my head around the latest Twitter changes. I know it is for the better in the long run but I want all my followers to see my posts. I guess that is the dream, right? Also, it is good to see the 140 characters are staying! Here’s the good thing about Twitter’s new timeline, Bob: it’s only partially algorithmic, at the moment anyway. That means that the top portion of your timeline will be picked by Twitter, but once you scroll past that, you’ll see the real-time timeline we love Twitter for. And yes, I agree about 140 characters; no one wants/needs another Facebook! These are really great list of doing an active marketing. Now days everybody seems to have access all their online marketing, through their smart phones. Mobile consumption is getting bigger and bigger, that’s for sure. Thanks for coming by, Shantanu. Thank you, Ana, I love weekly marketing skinny. Thanks for coming by; I really appreciate it. And definitely appreciate you mentioning me in your post! You sure do sift through (and read) a lot of posts to keep us informed, so thank you! I’m definitely one of those people who check their e-mail within 15 minutes (ehm…2 minutes) of waking up. But it’s sure good to know I’m not alone, ha! Hard to keep up with all the amazing content on your blog, Ana. I also look forward to checking out Pat Flynn’s post. He sure is an amazing blogger. I mostly agreed with Aviva. It also was a fun read. I really enjoyed it and I’m glad you let her share her perspective, Ana. My website is responsive, but I wonder how big the changes will be as they already gave preferable positions to mobile a while back. I don’t mind, though. Non-responsive websites are very annoying. As you I am sure know, search engine results move and shake all the time. No one gets a lifetime membership in Google results, that’s for sure. Oh wait… unless you are Wikipedia! And yes, mobile search or not, your readers will keep on reading your blog because it looks good on mobile. That’s what matters. Thanks so much for reading, Jasper; this post and many others. It’s been pleasure getting to know you on social media, as well as Traffic Generation Café. A lot of people using their mobile to access the internet nowadays and it’s great to help them surf the web easier by optimizing website interface. These are definitely a great list of marketing. I have a confession to make. I am a sucker for a public pat on the back. I am. That’s what makes writing these Weekly Marketing Skinnies worth it – KNOWING (not just hoping!) you benefit from them. So please… don’t just read and run! Take a minute; leave me a comment. Tell me your WOW moment from the marketing news this week. Or you eurika moment. Or even your whatever moment.